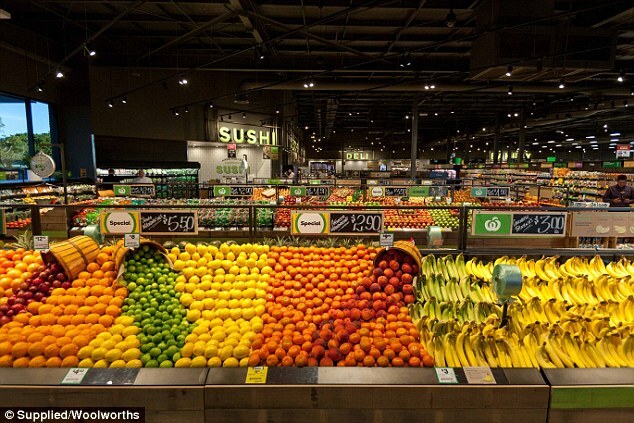 Woolworths has opened its most futuristic store yet, featuring a drive-through portal, made-to-order cakes and even has its own cheese cave with more than 90 hand-picked cheeses from around the globe. 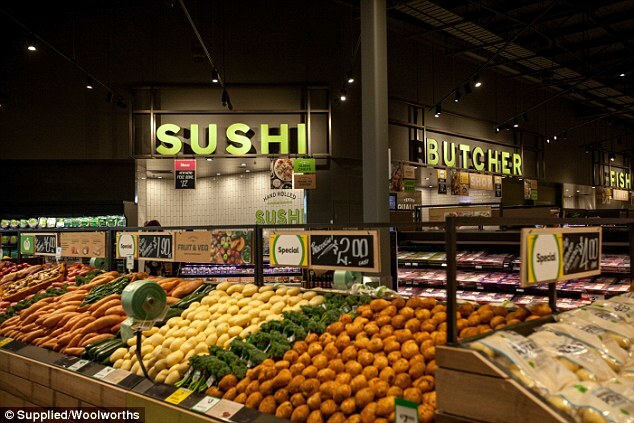 Located in Ascot, Brisbane – and known internally as ‘Woolworths 3.0’ – the store also offers ready-to-eat meals, an onsite butcher, a flat-bread making machine, ‘Ready to Create’ meal kit bags, a fresh Seafood counter and made-to-order Sushi platters. 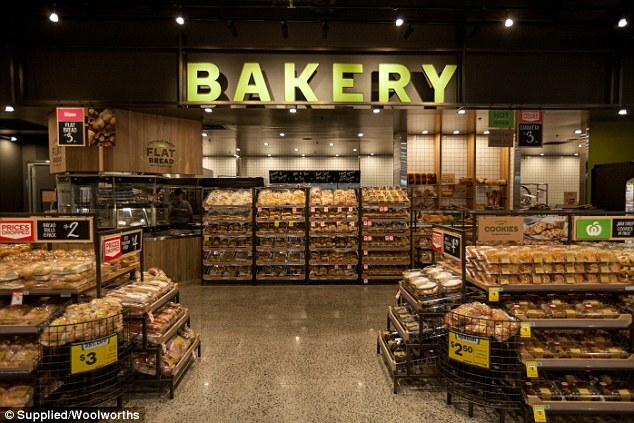 Matthew Franich, Woolworths Queensland state manager, said that the new store is a next-generation offering, and the result of strong customer insight. ‘Our team has spent a great deal of time understanding how local customers like to shop and designed this store with their shopping needs in mind,’ he said. Online shoppers will have access to an app which alerts the store when a customer is on the way to pick up an order, providing them with a dedicated parking space and meaning the shopper doesn’t even have to get out of the car. 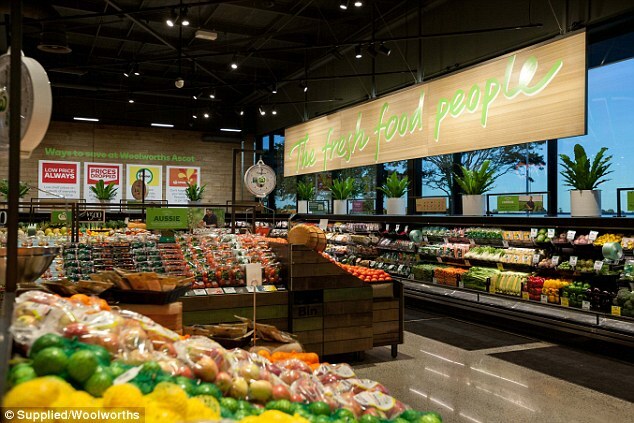 The store has been designed to feel like a market with a heavy focus on health food and ready-to-eat produce, and to limit its impact on the environment it uses LED lights for reduced power usage. It has also introduced a dedicated area for customers to bring in and recycle their soft plastics. The supermarket will feature all of our favorite food labels, but will have a real focus on local products, supporting brands like the Noosa Natural Chocolate Company, Queensland Yoghurt Company and Kenilworth Dairies. ‘Being part of the local community is very important to us and we’re looking forward to hosting local schools in our Fresh Food Kids Discovery Tours program,’ Matthew said.